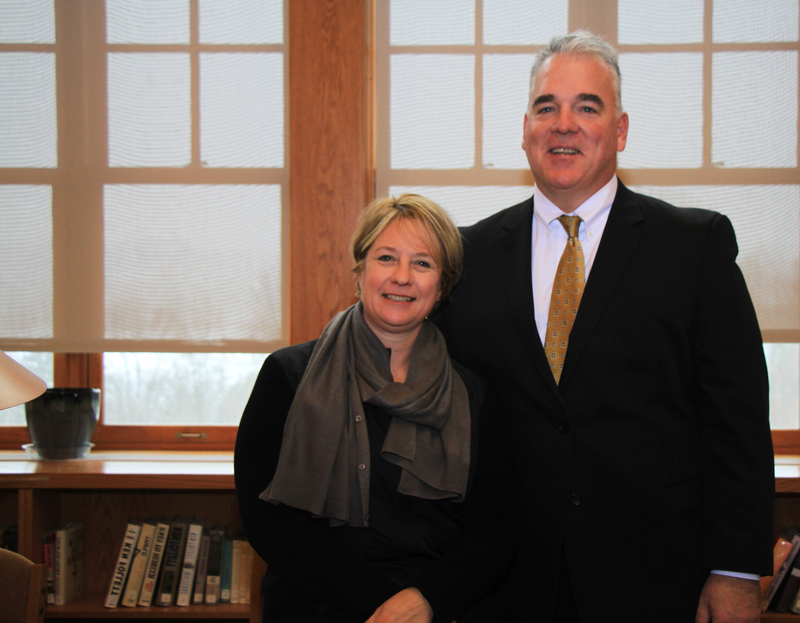 The Bridgton Academy Board of Trustees is proud to announce the appointment of Martin J. Mooney, as the 48th Head of School at Bridgton Academy. Mr. Mooney will succeed retiring Head of School Graydon E. Vigneau, Jr., who has served in that role since 2008. Mr. Mooney earned his Bachelor’s Degree from Dartmouth College, and his Master’s Degree from Middlebury College’s Bread Loaf School of English. He comes to Bridgton Academy from the Peddie School in Hightstown, NJ, where he spent the last 20 years in a variety of educational and leadership roles, most recently as Dean of Students and Residential Life. He has also served as Dean of Faculty and Director of College Counseling, and taught English classes and spent time as a dorm parent and coach. Prior to his work at Peddie, Mooney spent five years at the Hill School in Pottstown, PA, where he was Assistant Director of Alumni and Development, as well as Assistant Director of College Counseling. In addition to his experience in the classroom, Mr. Mooney is also a longtime football and lacrosse coach, harkening back to his time as a football and lacrosse player at Dartmouth. Mooney’s extensive experience in the independent school world, both at Peddie and the Hill School, has given him a diverse and deep background, along with a unique insight that will serve him well at Bridgton Academy. Understanding the independent school universe through the administrative, faculty, residential life, development, and athletic lenses provides Mooney an intimate understanding of the intricacies and nuances of each distinct facet of independent school life. Mr. Mooney will make several visits to Bridgton Academy in the coming months before officially assuming the position of Head of School on July 1. He will reside on the Bridgton Academy campus in Fernald House, residence of the Head of School, with his wife, Dani, and their three college-aged children.